When you’ve got a classic wheat beer pouring, the temptation would be leave it alone. Not Blasta. 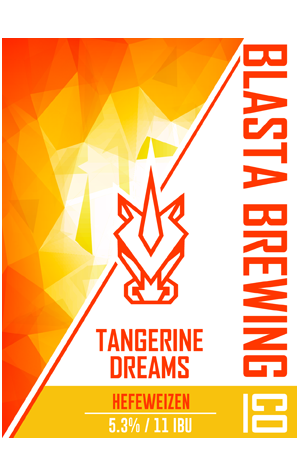 The addition of fresh tangerine juice and peel to the Blastaweizen has created some entirely new with, perhaps, even broader appeal to new beer drinkers. Banana, clove and spice from the original are evident however this is more than a case of adding a slice of citrus to the beer; here, there's a cocktail like citrus intensity, accentuated stonefruit characters and a greater perceived bitterness, presumably something picked up from the fruit addition.